Today is officially the first day of fall which means its also officially "pumpkin everything" season. These delicious pumpkin fritters are the perfect recipe to welcome the new season. 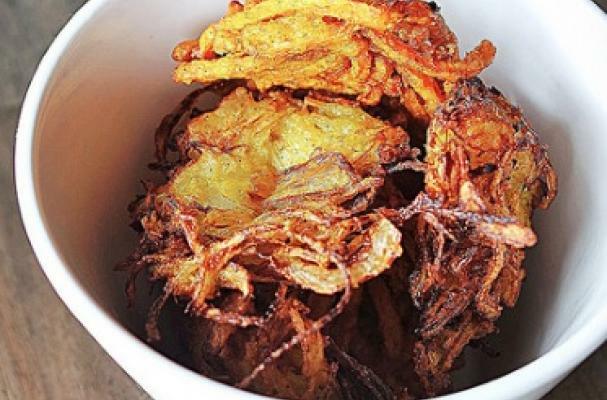 They are best served straight from the fryer and as an appetizer. You can dip in some garlic aioli, sweet chili sauce or even mango chutney. Step 1: Shred the pumpkin on a the large side of a cheese grater or grating disc on a food processor to create small pieces of grated pumpkin. Step 2: In a large stock pot, heat oil to 350 degrees Fahrenheit. You can also use a deep fryer. Step 3: Meanwhile, in a bowl, whisk together flour, baking powder, nutmeg, salt and pepper. Create a well in the middle of the dry ingredients and add the beaten egg, water and heavy cream. Mix slightly until ingredients are just combined. Add the pumpkin and cheese and mix until the ingredients form a cohesive batter. Step 4: Scoop out the batter using a large spoon. Gently drop the batter into the oil and fry until golden brown and crispy, about 1 to 2 minutes, making sure to turn the fritter so both sides are evenly cooked. You will have to cook these fritters in batches. Step 5: Drain the fritters on a paper towel and serve hot.